Sigur Rós, a quartet from Iceland, is one of the more intriguing bands that I have come across in recent years. Not since my first immersion into Ozric Tentacles, several years ago, has a band so captivated my aural senses. Ágaetis Byrjun is a work of genius. It sits at the cutting edge of the neo-space rock genre, a couple of steps above all others. Their music is very hypnotic, atmospheric and, creatively speaking, there are only a handful of bands today that can come close to their verve. Sigur Rós' music, if one must break it down, is a little reminiscent of a mixture of Radiohead, Dead Can Dance and Pink Floyd, but otherwise very, very original. 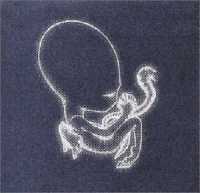 Ágaetis Byrjun was released in Iceland in June 1999 and internationally in August 2000, but this record is only now catching fire. This record was selected as the best Icelandic album of the 20th century in a recent poll conducted in Iceland. The US magazine, Time, has named Sigur Rós as one of the ten best bands in the world today and in December 2001 they won the inaugural American Shortlist Prize for Artistic Achievement in music. The soundtrack for Tom Cruise's movie, Vanilla Sky, includes the Sigur Rós song, Njósnavélin. The song is also prominently featured in the movie. This record transcends genres, labels and refuses to be held down. It comes highly recommended.